1987-1993: Associate Professor of Aesthetics at the University of Urbino. Starting in 2000, full Professor of Aesthetics in the Department of Philosophy of Sapienza-University of Rome. Director of the Masters program «The Role of the Arts in the New Professions» and coordinator of the three-year program in Philosophy in the same Department. From 1997 to 2003 he was a member of the faculty board of the doctoral research program in Philosophy (Aesthetics) with administrative base at the University of Bologna. From 1999 to 2003 he was part of the faculty of the Scuola Nazionale di Cinema (CSC). 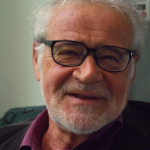 He is presently a member of the faculty board of the doctoral research program in Philosophy of Sapienza-University of Rome, and a member of the advisory board of Società italiana d’Estetica. He serves on the steering committees of Rivista di Estetica, Carte semiotiche and the online magazine Images ré-vues. 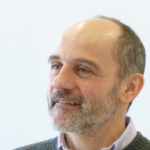 He has taught courses and seminars in various Italian universities and, as Directeur d’études associé, at the Ecole des Hautes Etudes en Sciences Sociales in Paris. He has coordinated the following international study conferences: «Roman Jakobson: linguistics and poetics», Sapienza-University of Rome, 1986; «S. M. Ejzenstejn. Beyond cinema: figures, forms, the meaning of the image», Venice Biennale, 1990; «The forms of thought through images – Aby Warburg: 1866-2001», Sapienza-University of Rome, 2001; “Fiat Imago, Pereat Mundus”, Sapienza-University of Rome, 2010; “The Possible Dwelling”, Ravello, Auditorium O. Niemeyer, 25-27 May 2013. He has coordinated the research unit on «Aesthetics and Practical Philosophy» connected to the Program of Scientific Research of National Interest co-financed by MURST (1999), «Rethinking Aesthetics». He is the consulting editor of the Italian edition of the Selected Works of S. M. Ejzenstejn (Marsilio Editori, Venezia, 8 voll., 1981-2007). National consulting coordinator of the PRIN 2009 research project “Ethics and Aesthetics”. In 2014 he was the winner of the “Awards” project titled “Interactive Imagination”.